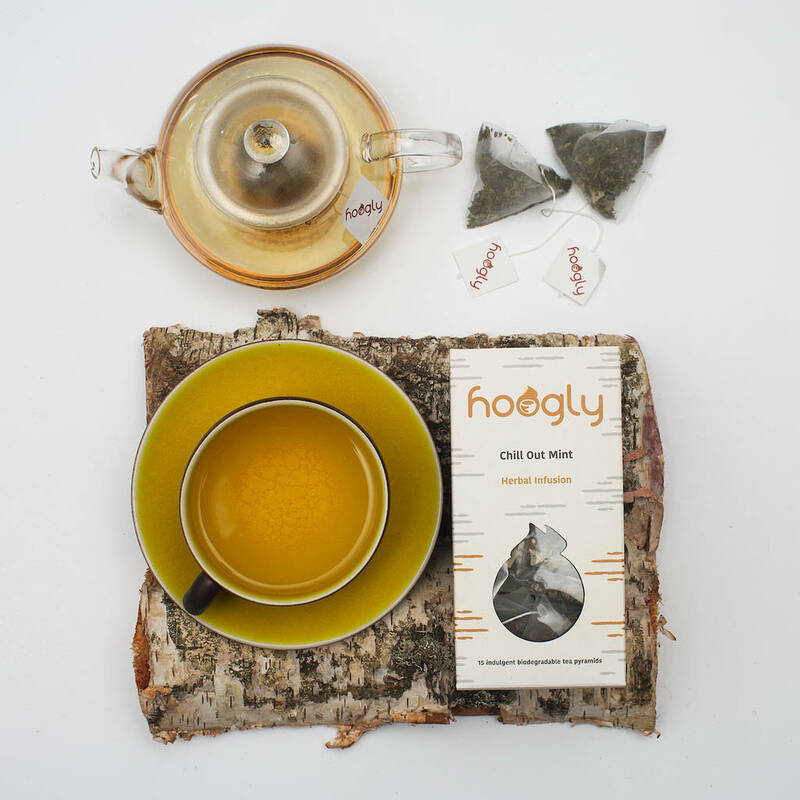 Girl Meets Dress has partnered with Hoogly in order to offer you, a tea bag of Chill out Mint, with every order. Who doesn’t love freebies?! ​​Tea enthusiast Tina Gloggengieser, from Aarhus in Denmark, now living in Brighton, UK, is passionate about food and drink and the Danish way of life, ‘Hygge’. Hygge is an experience; a year-round feeling of warmth, wellbeing and cosiness. The Danes preoccupation with Hygge is one of the major reasons they are voted one of the happiest nations year after year. ‘Hoogly Tea’ combines Tina’s love of tea with this mindful Danish concept to create a unique and healthy range of blends, made with luxury natural ingredients. All of their teas are blended and packed in the UK, they are ethically sourced and fairly traded. Our biodegradable tea pyramids are soil association certified. Hoogly is the pronunciation of ‘hyggelig,’ the adjective of Hygge, and they invite you now to have a hoogly time drinking their delicious and indulgent brews, and be seduced by the wonderfully relaxing Danish way of life. Order your next dress at Girl Meets Dress and get your free sample! Check their website to enjoy a range of delicious and comforting teas. Posted May 3rd, 2017 in Offers & Competitions, Partner, Partner Offer. Tagged: chill out herbal infusion, Chill out mint hoogly tea, Dress Hire, free mint tea samples, free samples, free tea, free tea samples, Girl Meets Dress, GMD, hire designer dresses, Hire dresses, Hoogly, Hoogly Tea, hygge, hygge tea, offer, Partner, partnership, rent a dress, Rent designer dresses, rent dresses.